Honour Roll commemorates those from the Sunday School who served in World War One. 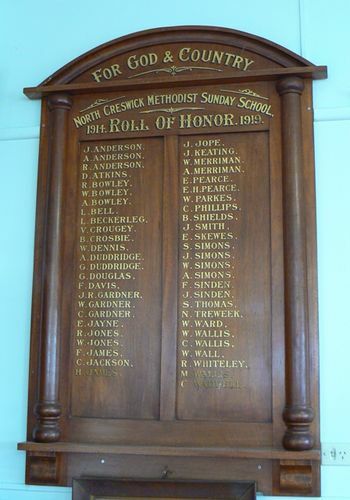 The Honour Roll was unveiled on the 30th December 1917 and contains the names of 48 old scholars of the Sunday School who enlisted for active service in World War One. The Ballarat Courier, 1st January 1918. 1914 ROLL OF HONOR 1919.